This Feb. 12, 2018, file photo shows Del. 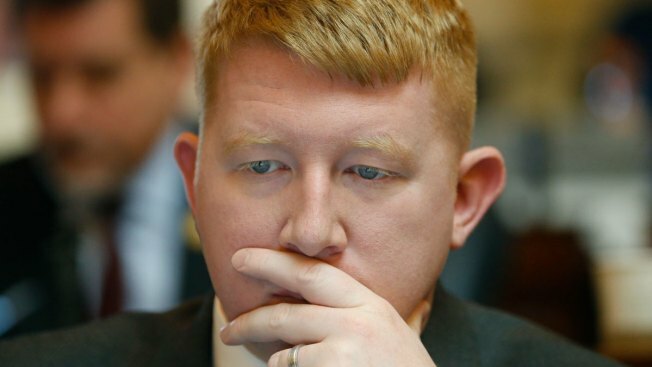 Lee Carter, D-Manassas, as he looks over legislation during the House session at the Capitol in Richmond, Va.
Virginia Del. Lee Carter wants you to know that he is in the midst of his third divorce, can't hold a job, lobbed homophobic insults when he was young, and may even have explicit photos of himself floating around on the internet. "I think we've moved past the age where folks in politics can pretend that their past doesn't exist,'' Carter, a 31-year-old first-term delegate from Manassas, told The Associated Press in explaining his decision to release the less-appealing aspects of his life in a series of 15 tweets. "In the age of (Brett) Kavanaugh, trying to peddle false or incomplete narratives about one's past appears to be a high-risk strategy,'' said Farnsworth, referring to the Supreme Court justice whose nomination was in the balance after he was publicly accused of sexual assault when he was a high school student more than three decades ago. Kavanaugh vehemently denied the charges and was confirmed. Carter's approach has the benefit of disclosing everything now, a year away from his re-election, making it ``old news by the time you're in front of the voters again,'' Farnsworth added. "I agreed to pay arrearage I didn't actually owe in the settlement because it was cheaper than paying a lawyer,'' he wrote. "In my generation, people don't live out their lives in public to that degree,'' said Card, 65. But he said he expects that whoever the GOP fields to run against Carter next year will be as eager as Carter is to run on the issues. He does not believe either the socialist tag Carter applies to himself — or the policies associated with it — will appeal to the electorate.